Sun. 10am-5pm. Theme: Dinner for Four! Whiteside Taylor Centre, 20551 Lakeshore Rd. Sun. 10am-5pm. Precious & semi-precious stones, jewelry, carvings, tools, sculptures. $8/$7 seniors. Place Bonaventure, 800 de la Gauchetière W.
Sun. 10am-5pm. Tibetan cultural fair: handicrafts, books, dharmaware, cuisine, live music, performers. 3535 Parc. Fri. 6- 9pm. Sat. 10am-5pm. Sun.10am-5pm. 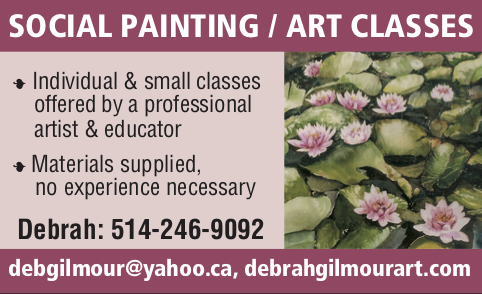 Paintings, jewelry, stained glass & art. Maison du Brasseur, 2901 St-Joseph Blvd, Lachine. Fri. 5-9pm & Sat. 10:30am-3pm. Imported canned foods, chocolate, cheese, pewter, marzpan, knitted goods, jewelry. 5065 Sherbrooke St., Lachine. Fri. noon-6pm & Sat. 10am-5pm. New merchandize: linens, clothing, Christmas décor, luggage, houseware, jewelry. 555 Jean Talon St. Sat. 9am-2pm. Crafts, baking, preserves, books, puzzles, games. 335 Springfield St.
11am-2pm. Baking, nearly new, crafts, raffle. 120 Gervais, Otterburn Park. Sat. 10am-2pm. Christmas decorations, baking, toys, candy. 4697 St-John’s Blvd. D.D.O. Sat. 9:30am-2pm. Books, international foods, baking. 160 Ballantyne N.
Sat. 10am-3pm. Arts & crafts, decorations, knitwear, baking. 413 Main St., Hudson. Sat. & Sun. 10am-3pm. Hungarian cuisine, baking, antiques, jewelry. 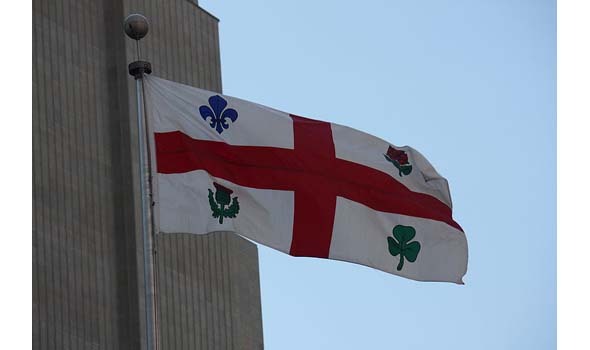 Jean-Talon and l’Acadie. Sat. 9am-3pm & Sun. 9:30am-noon. Fudge, baking, raffle, games. 978 Moffat, Verdun. Sat. 10am-4pm & Sun. 10am-3pm. Clothing, jewelry, nearly new, books, toys, records, videos. Polish pastries, food. 2550 Gascon Ave. Sat. 10am-5pm & Sun. 10am-4pm. Montreal WestTown Hall, 50 Westminster Ave S.
Wed. & Thurs. 3-7pm & Sun. 9am-5pm. Grand bazaar: new clothing, giftware, houseware, toys, linens, luggage, furniture. 2600 Badeaux, St-Laurent. Fri. 5-8:30pm. Baking, crafts, books, jewelry. Homemade turkey dinner. $12. 25 Lakeview, St-Bruno. Fri. 4:30-8:30pm & Sat. 9:30am-2:30pm. Baking, frozen meals, preserves. Fri. dinner 5:30-8pm; Sat. lunch 11:30am-2pm. 11 Rodney Ave. Pointe-Claire. Fri. 1-8pm & Sat. 10am-4pm. Mosaic Quilters Show, crafts raffle, tea room. 321 Empire, Greenfield Park. Fri. 7-9pm. Sat. 10am-5pm & Sun. 1-5pm. Stewart Hall, 176 Lakeshore Rd, Pointe-Claire. Sat. 9am-2pm. Rummage and bake sale. $7. Lunch 11am-1pm. 98 Aurora Ave., Pointe-Claire. Sat. 10am-4pm. Crafts, 30+ artisans, baked goods, raffle. Light lunch. 1090 Greene, Westmount. Sat. 11am-4pm. Japanese food, gifts, baked goods. 8155 Rousselot St. Sat. 9am-3pm. Used books, gits, baked goods, raffle, canteen. 5070 Gilbert St., St-Hubert. Sat. 11am-2pm. Handicrafts, baking, flea market, books, lunch. 202 Grand-Côte Rd. Sat. & Sun. 10am-4pm. Crafts of 80+ artisans & fine art of 30+ artists. 12001 de Salaberry Blvd. Sat. & Sun. 10am-4pm. Craft fair, 20+ juried artists. Wagon rides to Xmas tree lot. Lunch available. 2495 Perrot Blvd., Île Perrot. Sat. & Sun. 10am-5pm. Used book sale. Victoria Hall, 4626 Sherbrooke W.
Sun. 11am-4pm. Artisanal soap, jewelry, artwork, organic honey, yoga clothing, baking. 57 Donegani, Pointe Claire. Sun. 10am-3pm. Fair trade goods, international crafts. Tea room. 855 Bishop Power Blvd., LaSalle. Sat. 10am-2pm. Handmade crafts, baked goods, tools, jewelry, children’s items, housewares. 123 des Prairies Blvd, Laval. Sat. 10am-2pm. Baked goods, preserves, frozen dinners, clothing, books, ornaments. Turkey dinner noon. $10. 1439 Ste-Catherine St.W. Sun. 9am-3pm. Baked goods, jewelry, jams, household items, decorations. Raffle. Lunch. 3270 Beaubien St. E.
Thurs. 7-9pm, Fri. 10am-9pm. Sat. 9am-5pm & Sun. 1-5pm. Pottery, dishes, vases, jewelry, ornaments. Sarto Desnoyers Community Centre, 1335 Lakeshore Dr. Sat. 9:30am-3pm. Crafts, baked goods, books. Spaghetti lunch. 750 St. Joseph E.
Sat. 11am-3pm. Bake tabe, crafts, jewelry. Tea, lunch. 46 Dupont, Châteauguay. Sun. 9am-4pm. Christmas decorations, ceramics, quilts, gifts. Breakfast, lunch. Centennial Regional High School, 880 Hudson St., Greenfield Park. Be the first to comment on "Bazaars in Montreal and area, November 2015"